The Gaythorne / Samford area isn’t somewhere I venture to often but we were in the area and hungry so stopped at Grub Street. Grub Street is a little demountable but has something for just about anyone! The breakfast menu looked glorious but I am trying to venture away from having breakfast for every meal so we stuck to the Lunch menu. 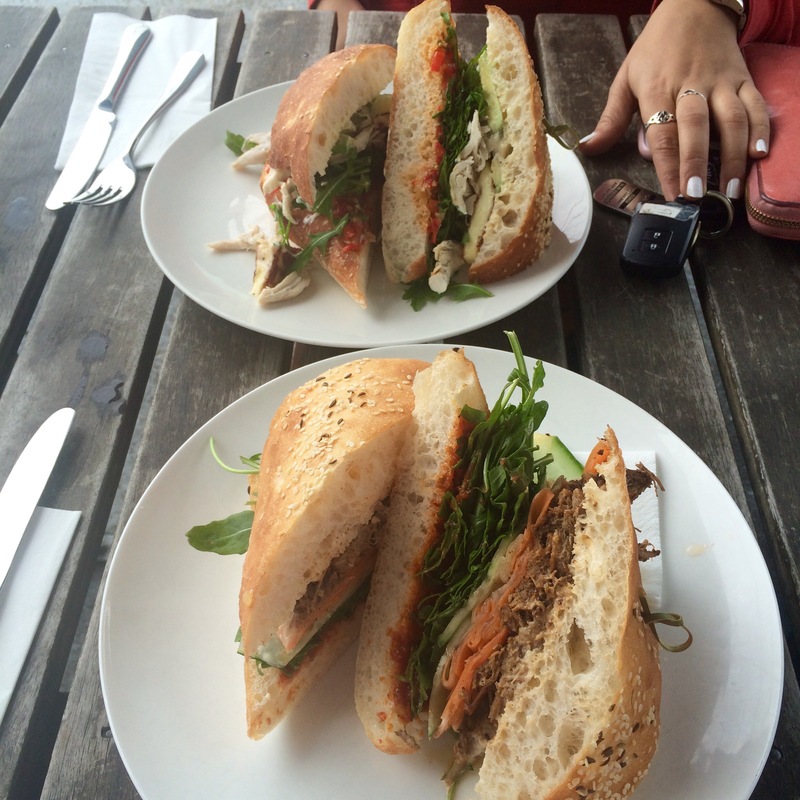 It was a tough choice, the Soup of the Day (Sweet Potato with Proscuitto) sounded spectacular but in the end we opted for two of the Gourmet Turkish Sandwhiches. Which to be honest we struggled with choosing between those options alone. 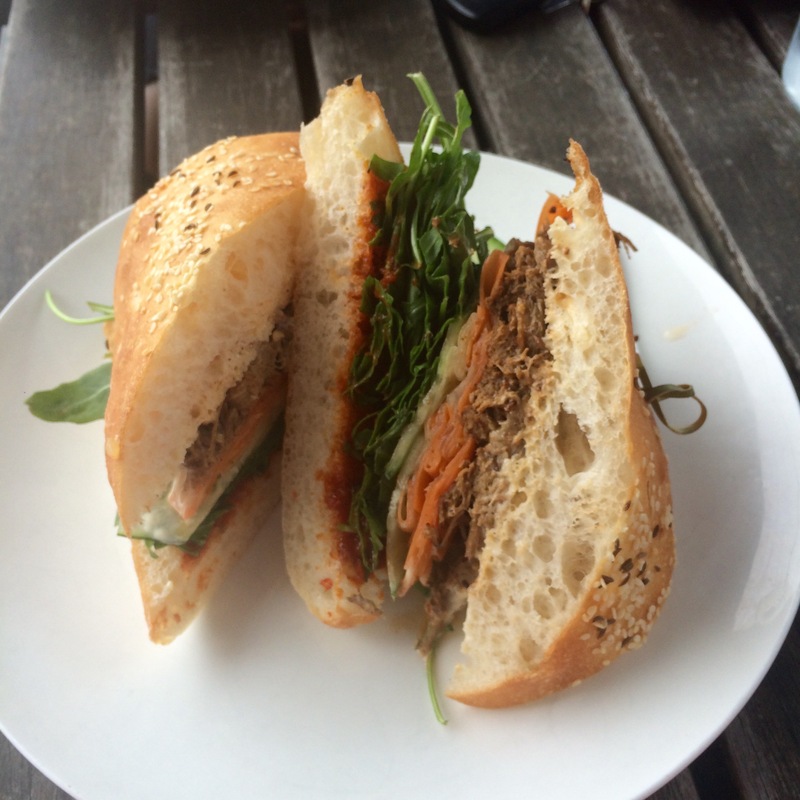 I decided on the Gourmet Turkish with Pulled Pork, Homemade Chilli Jam, Pickled Daikon and Carrot and Rocket $12. The servings were very generous and all of the ingredients were fresh. 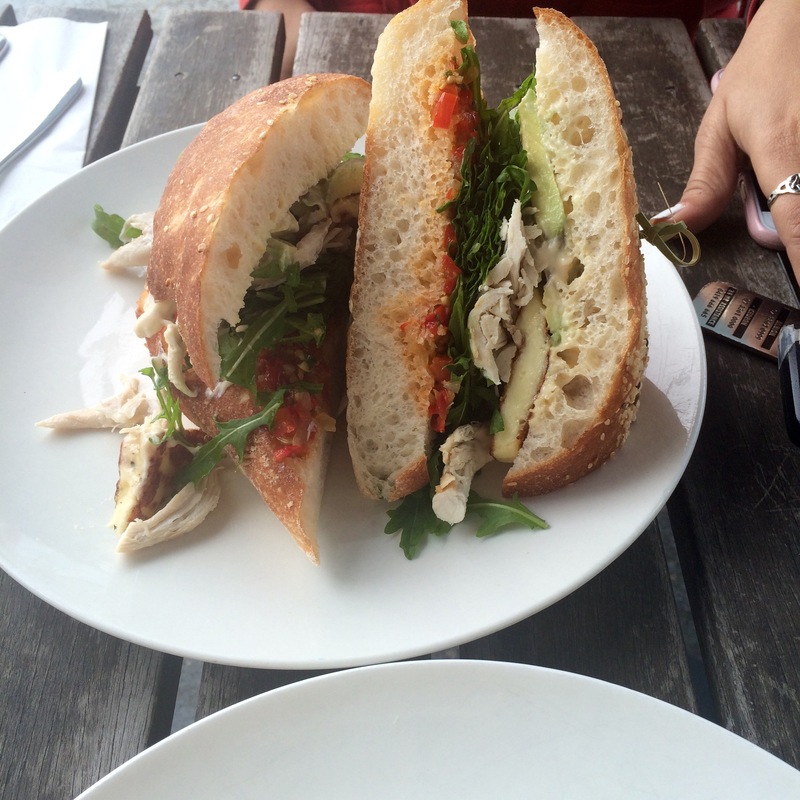 My lunch date had the Gourmet Turkish with Rosted Chicken, Avocado, Haloumi and Red Pepper Relish and Aoli $12. Which was scrumptious. All of their condiments are home made and available for sale! I couldn’t fit anything else in but managed to steal a corner of a Nutella Cookie $2. It was crunchy and gooey on the centre. We didn’t have any drinks today but ar Grub St they serve Grinders coffee. Grub Street is just off Samford Road which has plenty of on-site parking. We decided to sit outside as it was a nice day but it was a bit sparse. Inside looked warm and welcoming. All of the staff were very friendly and welcoming. They were knowledgable about the menu and all of the sustainable and local ingredients.